Children and adults of all ages absolutely love corn mazes. 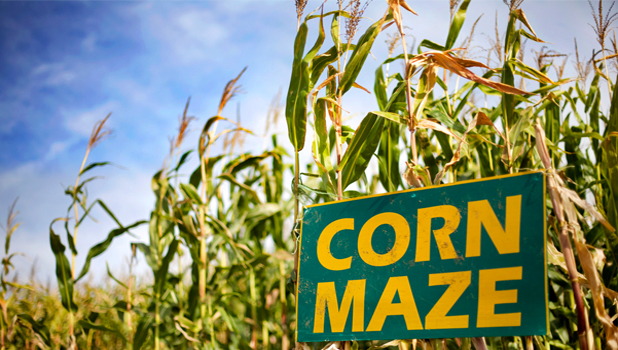 Whether you’re 5 or 55, navigating a corn maze offers a challenging and fun adventure that inspires creativity and teamwork. There’s something about these interactive pedestrian puzzles that really captures people’s interest. It may have something to do with the challenge of finding your way through to the end of the maze and the feeling of accomplishment that sets in with the completion of any puzzle or riddle. It’s also a very fun social activity. Large groups of people can navigate through these large mazes at once. Here is a list of some great mazes in the country. Be sure to visit atleast one of them and comments your experience below. 1) Hawes Farms: The Historic Hawes Farms was established way back in 1863! Located in California, Historic Hawes Farms is still a real working farm with growing hay, fruits, vegetables and walnuts seasonally along with the popular corn maze. 2) Cherry Crest Adventure Farms: This farm is the worlds most dynamic and interactive 5-acre corn maze with over 2.5 miles of paths, scenic bridges, and clues. 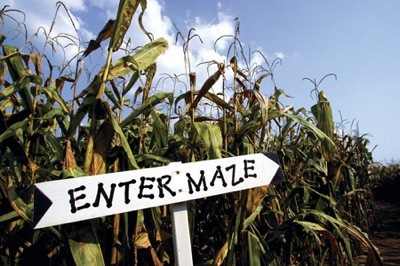 Co-owner of The American Maze Company, Don Frantz produces a professional and unique entertaining agricultural experience at Cherry Crest Adventure Farm. 3) Maris Farms: Take a unique hike through the cornfield. You can enjoy the panoramic view of the farm from two large bridges you’ll traverse along the way. The trails are designed to be as safe as possible, but keep in mind: rain + dirt = mud, so come prepared! 4) Hubb’s Corn Maze: The 2013 maze design includes a total of four mazes. There is a shorter, easier game maze for beginners and a really short one for toddlers. There is also a haunted trail open in October, you may not get lost here, but definitely be scared. 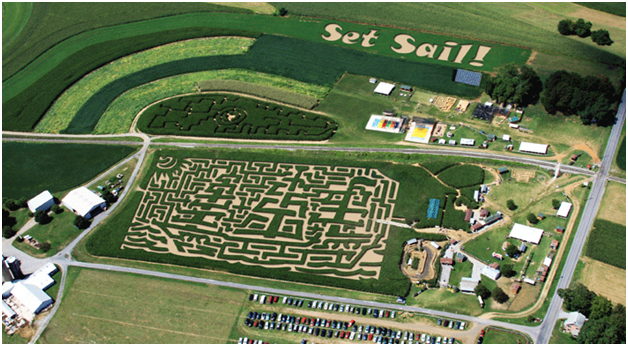 5) Cows-N-Corn:Just about an hour from Northern Virginia, this farm has an amazing corn maze. Cows-N-Corn opened to the public in August 2001 and has been growing each year with many new learning and fun activities. 6) Oakes Farm:Each year, we create an artistic masterpiece in a huge cornfield. Your goal is to find each of 12 different posts hidden in the maze, and then to find your way back out. The Farm Scene Investigation Game is another such fun corn maze at the Oakes Farm. 7) Donnell Century Farm Adventure: This adventure farm offers two types of fun mazes; the challenge corn maze and the mini maze. The farm also has a scavenger hunt in the maze to make your experience more enjoyable. 8) Black Island Farms: The mazes are spread out on a combined 26 acres of land. The farm has multiple mazes with varying difficulties for the young and the old. 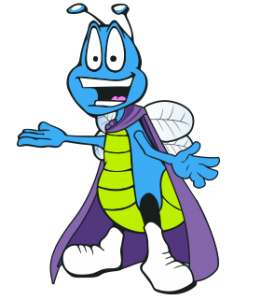 This year’s themes for the mazes are The Maverik Monster Trackker! This largest maze in Utah sure is a lot of fun! 9) Fiddlesticks Farms: This farm has added a different twist to the fun mazes. Guests to this maze will pick up a “passport” filled with simple questions on a range of topics. At each station you will answer the corresponding question. The correct answers will guide the visitors through the maze, and the wrong answers lead down puzzling paths. 10) Poppell Farms: Situated in Southeast Georgia, Poppell Farms is popular for its amazing corn mazes for 9 years in a row. This is a place perfect for the entire family, as it boasts of Pumpkin Patches, Haunted Forests and many more fun activities. Have any other corn mazes to share? Comment below.